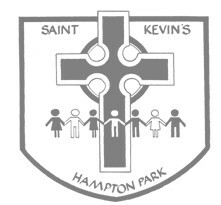 At St Kevin’s, we view the education of your child as a partnership - a joint responsibility between the school and home. Our programs are linked to each child’s personal ability, and not simply age expectation. Each and every child will progress developmentally according to his or her interest in learning, ability and potential to learn, the skills developed and the encouragement, support and assistance provided by teachers and families. We will strive to provide a happy, supportive and secure learning environment. We shall keep you informed on school life, interviews, information nights and other opportunities as they arise by way of the School newsletter. The purpose of a Catholic primary school is to give your child a foundation of faith, values, knowledge, skills, and attitudes necessary for lifelong learning.